This easy pizza casserole recipe has all your favorite pizza flavors, but no crust is required. Instead, substitute noodles for this quick and easy one-dish meal. It’s a very flexible recipe, so feel free to swap things out for your own favorite pizza toppings. Preheat oven to 375 degrees. Cook the pasta according to package instructions, drain and set aside. Brown the ground beef with the onions and bell peppers in a large skillet over medium heat. Drain the grease. 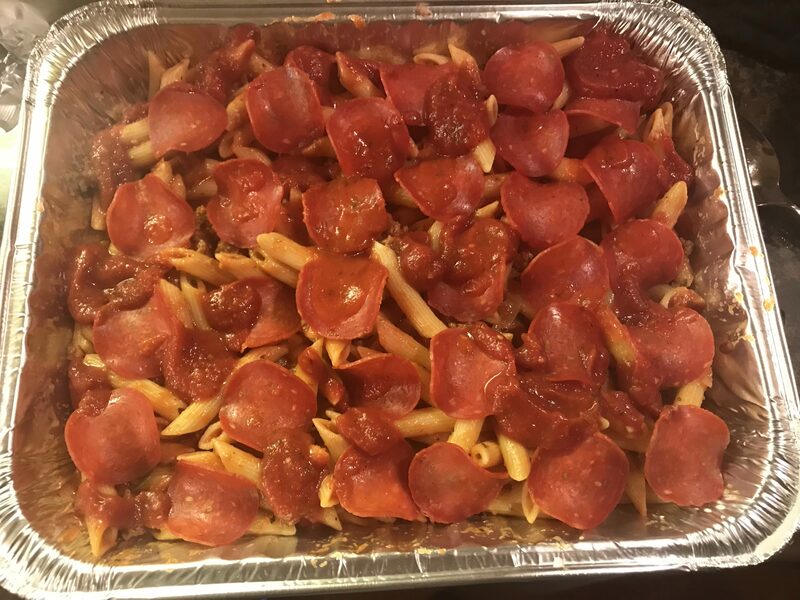 Combine pasta, meat mixture, pizza sauce, and milk in a 9×13″ pan. Stir to combine. Top with cheese. Bake for 25-30 minutes or until cheese has browned slightly. 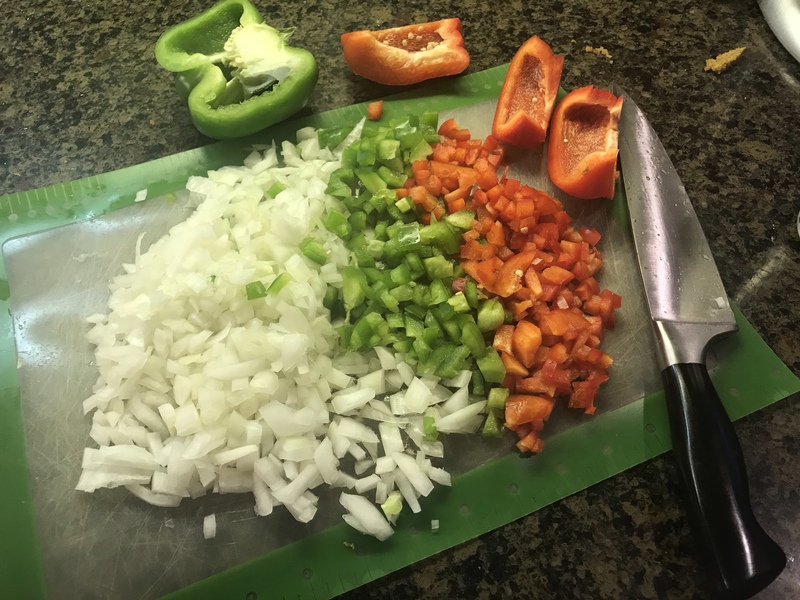 The key to this, if you have picky kids, is to dice the peppers up very finely so they’re not seen but still add flavor to the dish. Green peppers are more noticeable, so you may want to only include red peppers. 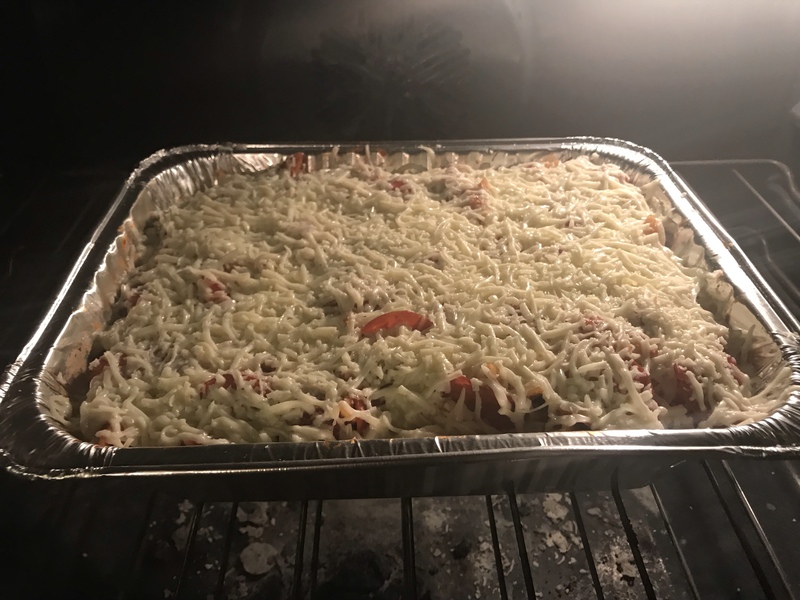 I topped my pizza casserole with pepperoni, but you can use whatever you like – mushrooms, olives, or just more cheese. If you like lots of cheese, add more! I think this is actually a bag and half of mozzarella (more like 12 ounces).